Well, they’ve finally done it. They’ve enforced the algorithm. The party’s over. Let me explain. With Ryanair you pay a base price and then you can pay for optional extras like priority boarding ahead of the plebs, choose your seat, insurance, car hire, extra bags, that kind of thing. You can check in early if you pay to choose your seat, or you wait til 5 days before departure and take pot luck on seat choice for no extra bucks. If you were travelling with someone, however, and had booked your flight in the same transaction, although Ryanair always said that there was no guarantee you could sit next to that person for free, you always did. Until now. Well, until a few weeks ago, when they obviously tweaked the seat allocation algorithm. When I checked in, those few weeks ago – 5 days before my flight with my daughter, who’s under 14, I went straight to the boarding pass stage, eschewing the pay-for-your-seat option and – lo and behold – she’s at the back of the plane and I’m at the front. What’s more, both of us got middle seats. Ryanair and sitting together no longer applies unless you pay. There is no more base price if you want to sit next to your friend or family member. I wonder if the algorithm would still apply and they would split us up, were my daughter 3 rather than 13…either way, it’s a case of Ryanair further squeezing the rag to get another couple of drops out of it. Bearing in mind a few years ago they were making about €11 profit per traveller, another €4 for a chosen seat is a tidy uplift. I wonder how much customer goodwill will leak as a consequence. I travel on Ryanair a lot, at least twice a month. It’s an affordable, efficient and on time airline. 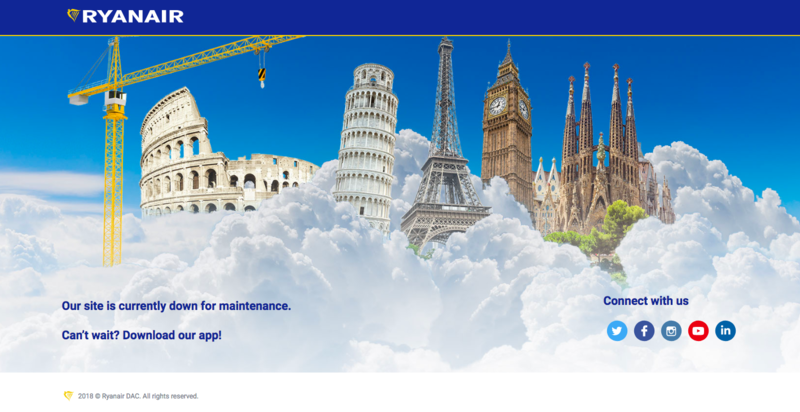 I’ve written about the airline a lot on this blog, too many links to insert here and also I notice there’s no search function on my blog, which I must fix – but, trust me, I’ve written about Ryanair a lot. They’ve improved the way they treat customers over the years. After flying with them hundreds of times, I’ve never had to amend a pre-booked flight before, however. It’s a scam. Many months ago I booked a long weekend away for me and Her Ladyship to Rome. She’s never been, so we were really looking forward to it. Out on the Friday morning, back on the Monday evening. Perfect. Then my good lady got offered a new job, a great job. The only snag was that she had to start the Monday we were flying back from Rome, so I needed to cut short the holiday by one day and rebook the return flights. Firstly, they stiff you €40 per flight to re-book. Painful, but not the end of the world. Secondly, the new return flights were for some reason really expensive, more than the original out and back flights combined, so I parked the change for a day or two to think about it. As luck would have it, the next time I looked at the new flights I was in a brand new browser session, and had forgotten to follow the process of re-booking the pre-booked flights. Lo and behold, the price of the ‘net’ new flights was less than half the price of the ‘rebooked’ new flights going through the re-booking process. Armed with this insight, I looked at re-booking both the outbound and return flights and going somewhere much cheaper that Rome, either Edinburgh and London. The re-booked flight prices were over twice the price of making a brand new booking. So Ryanair charge you €40 per flight to change your flights and more than double the prices for the pre-booked flights. It’s a really laborious, painful process in their legacy system, too. It’s also a scam, plain and simple. The original flights to Rome were €370. Brand new return flights to London were less than €100. To change the Rome flights and re-book to London would have cost us an additional €180, after the €370 credit had been applied. I’m now looking at cancelling the flights to Rome. I’m not hopeful of getting anything back. Don’t change your flights once you’ve booked them with Ryanair. They have you over a barrel and will ride you like a rocking horse, to mix some wooden metaphors.